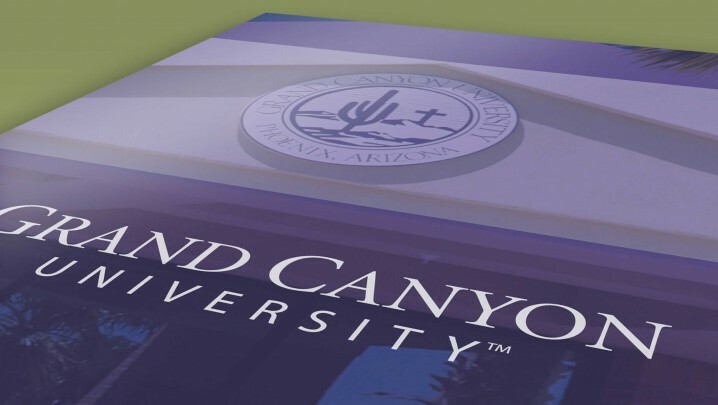 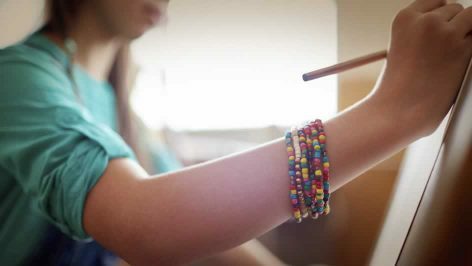 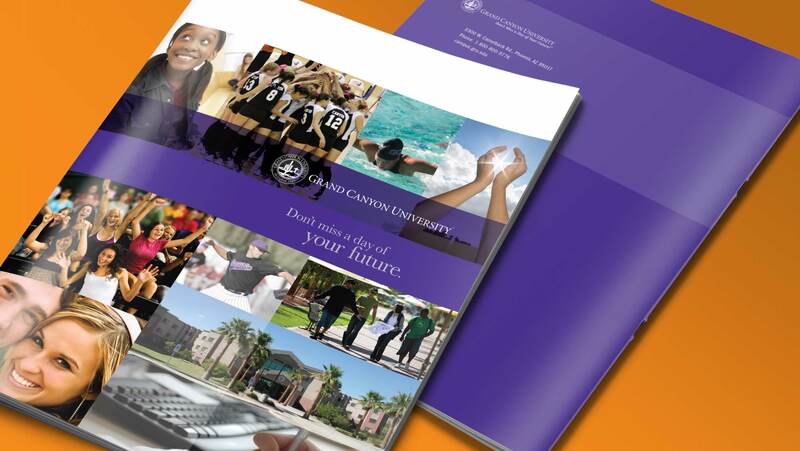 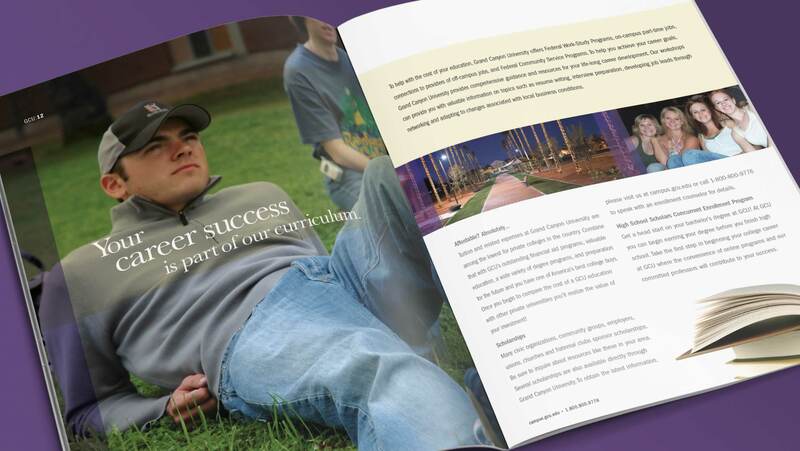 Grand Canyon University is a private, for-profit Christian university in Phoenix, Arizona. 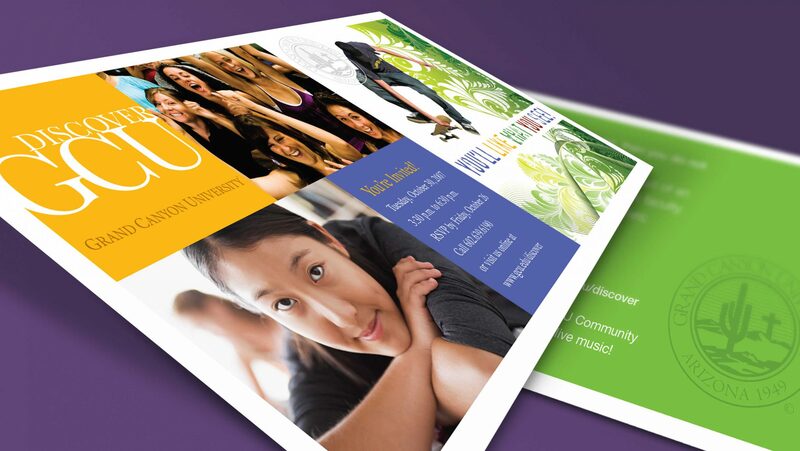 As part of a new student recruitment campaign, this series of direct mail post cards and posters announced an upcoming open house. 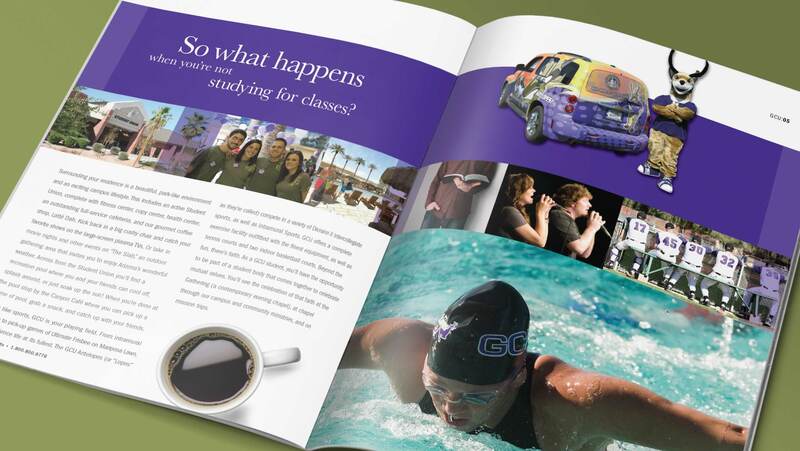 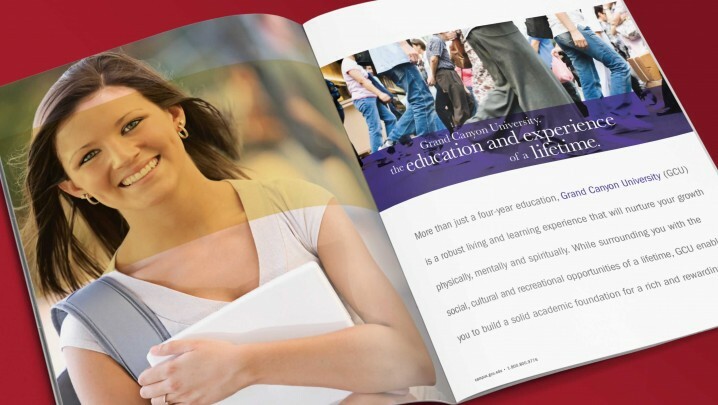 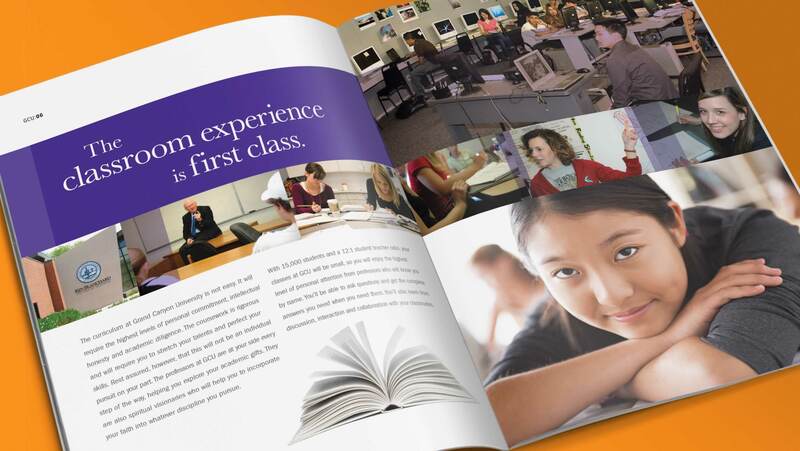 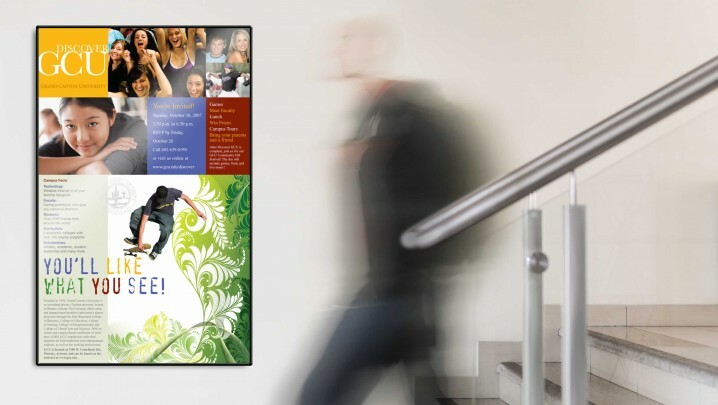 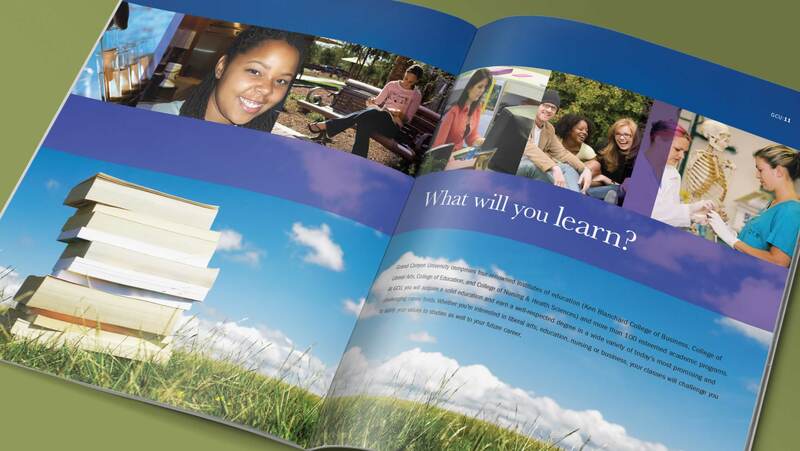 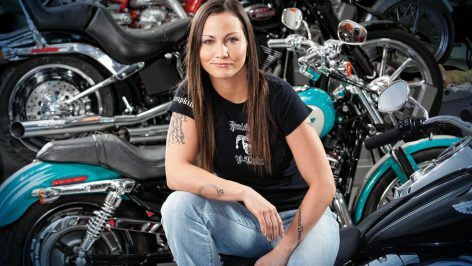 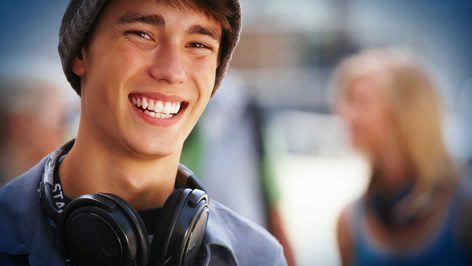 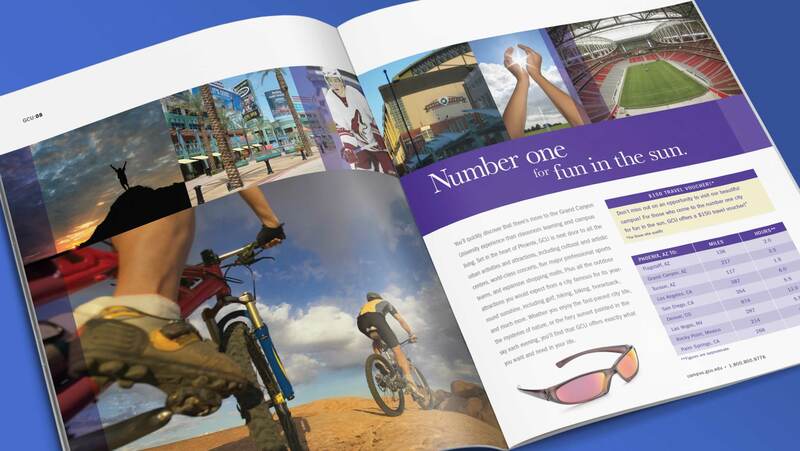 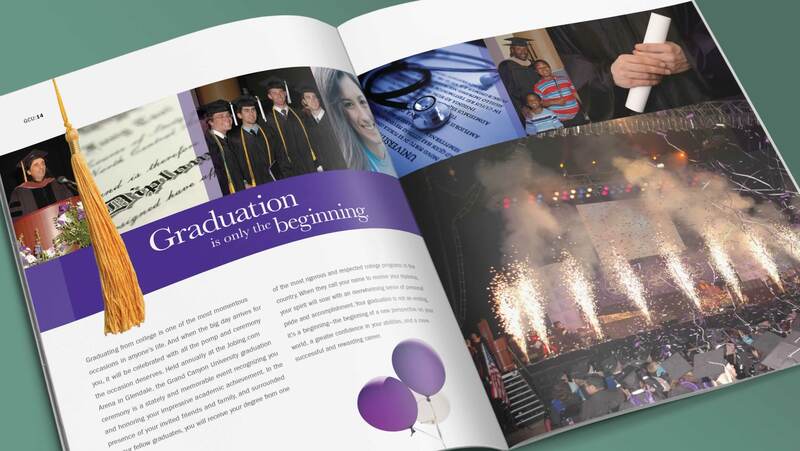 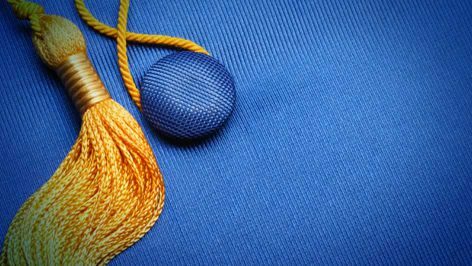 This college viewbook featured large, bright imagery and fun facts regarding campus life and provided an overview of the various degree programs offered.